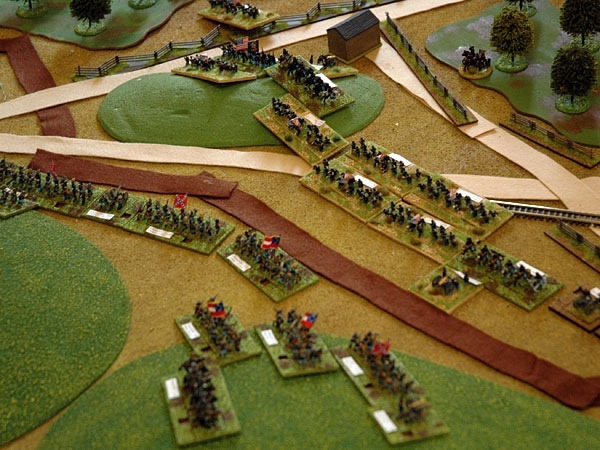 My Union troops based on sabots for Altar of Freedom got their first outing yesterday when we used the rules to stage a refight of the Battle of Stones River (Murfreesboro to the rebels) at the South East Scotland Wargames Club. 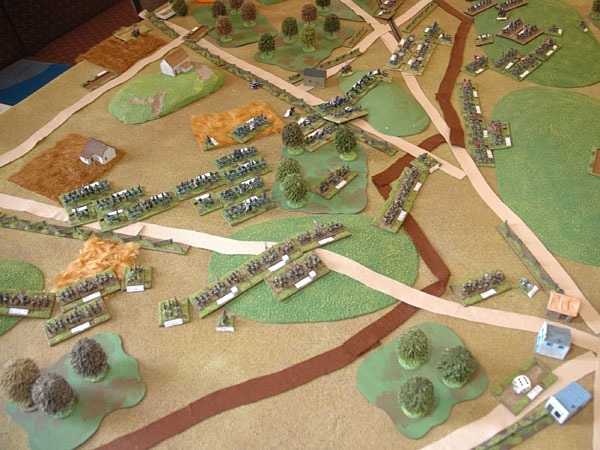 I was playing George Thomas commander of the Union Centre Wing, and was charged with launching an assault across Stones River. This attack ground to a halt in face of considerable firepower, so I withdrew and redeployed slightly to my left, astride the Wikinson Turnpike. For some strange reason the Confederates charged across the river before I could launch my own attack. 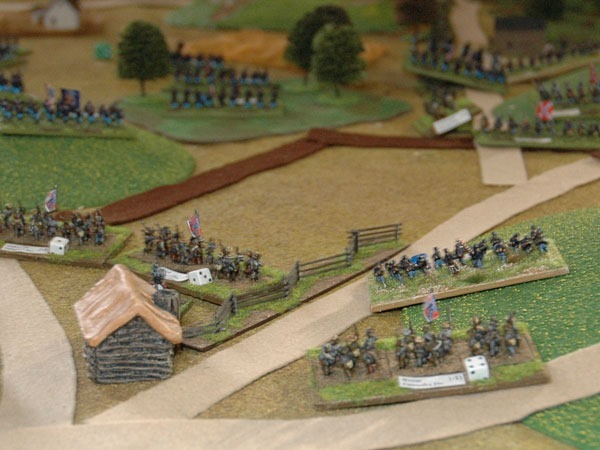 The rebels were easily driven off and my counterattack was hugely successful, with Walker’s Brigade launching a spectacular charge that shattered several Rebel brigades and which reached the outskirts of Murfreesboro itself. All in all an excellent battle for my new recruits. All the troops on the table are from Pendraken. There’s six of us involved in this project and between us we’ve got enough troops to fight just about any battle from the war.